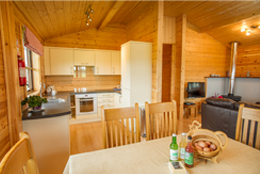 Stay on a working farm in rural Devon. 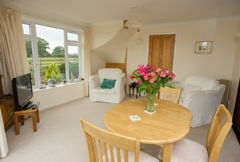 Situated in a 4 acre field at the end of a stone track with stunning views over Exmoor. 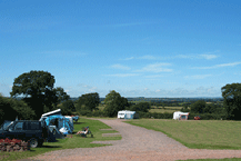 A friendly traditional uncommercialised campsite on a working farm in North Devon. 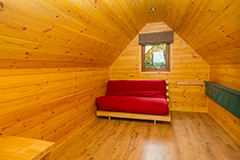 Log pods - come glamping! Looking for a comfy bed and a perfect brekkie in the morning? Come and stay in our Bed and Breakfast. 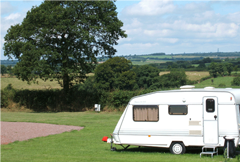 There are some of those among us who love the countryside but maybe aren't enamoured by the thought of staying on a campsite! Perfectly situated between Exmoor and Dartmoor, we can be found almost halfway between Tiverton and South Molton on the B3137 in Nomansland, mid Devon.